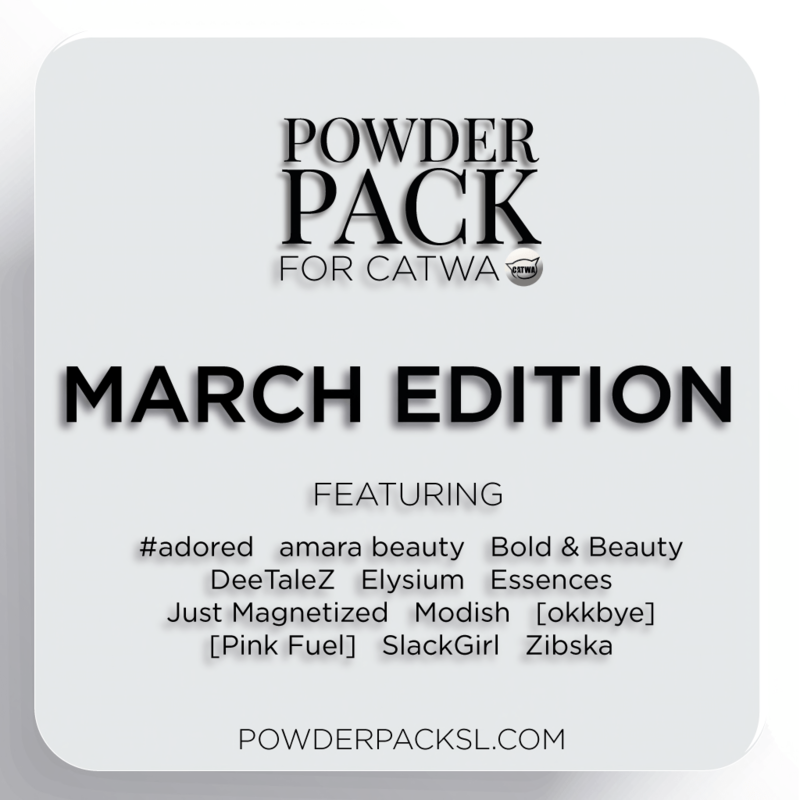 I have a few items to show you that are available now at the Flower Power event! The hair I am wearing is by Beusy and will be available at the Feb round of Kustom9, which starts on the 15th. The hair comes in two versions! Details below!! poses by la baguette – dehance poses at SaNaRae. photos taken at small town green. In this post I have some previews from upcoming events. On9 will be opening tomorrow and The Seasons Story opens on the 10th. poses by imeka – michi *new* at the chapter four. photos taken at octoberville. It must be 5am… the kittens are storming around the apartment like tiny furry tornadoes. AHHHH!! 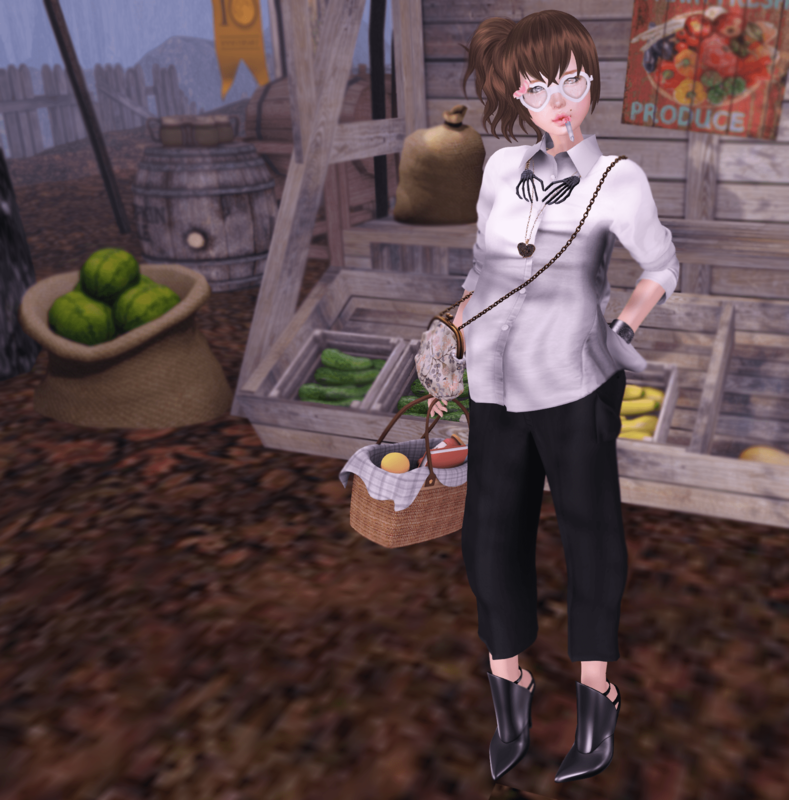 In this post I have new items from Ayashi, Sweet Thing and Melonopolis. OMG SO TIRED *falls over* Full details below! poses by kirin – maki (my cats name :D). photos taken at Hattusa City. The earrings, necklace and purse can be found at the new round of Cosmopolitan Bi Weekly event! The dress & hair are available at Famous Station. poses by eternal dream *new* at Cosmopolitan Bi Weekly event. pictures taken at The Forty Thieves Hideaway. In this post I am sporting the new UMBRELLA from Step. It’s super cute, comes with poses & an AO. It has a rain, no rain and heart rain option, as well and can be found at this round of The Chapter Four. The necklace I have on is from the up & coming round of On9 (starts May 9th). The dress is available from Bens Beauty as well at The Cosmopolitan Sales Room. It’s The Chapter Four’s second anniversary so be sure and stop by & pick up the gifts!! umbrella & poses by Step – crocodile *new* at The Chapter Four. Xiasumi, We Love RP, Cherry Cake Hunt Previews!! I have a lot of stuff in this post that hasn’t been released yet, but will be released this weekend. PREVIEWS OUT THE WAZOO! First, the shoes!! From Tea.S and these will be available in two floral patterns this Fri for FLF. Be sure to grab them while they are on sale! The hair I am wearing from Ayashi and the dress from The Annex will both be available at the next round of We Love RP. The hair will be at a 25% discount! We Love RP starts on April 4th. The cute bouncing pet is from Sweet Thing and will be available at Xiasumi School Festival which opens TOMORROW! SO EXCITEEE! The poses are also from Xiasumi, and were made by Friday. The Ice cream in the photo above is from Melonopolis and is for The Cherry Cake Hunt and it starts on April 5th. All items are just $1L! Photos were taken at Corona. Check it out! Lots of pretty flowers and buildings to explore. poses by Friday for Xiasumi School Festival (April 3rd). Happy International Wine Drinking Day! poses by elephante poses in spring fever & walk this way.